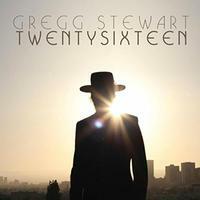 This brand new album from Gregg Stewart is really a work of inspiration. Stewart has created his own versions of songs from artists who died in 2016 - hence the title. The music here has a bit of a roots element, along with some alternative rock and more. While there are some instances where I prefer the original, and others where I like Stewart's version better, the whole set works really well. I have to believe that all of the artists included here would really appreciate what Stewart has done with their music. This is interesting. We get the Dead or Alive song stripped down to just acoustic guitar and voice (at least for the first half of the song). It surprising that it works as well as it does like this. It works great, really. There were some bits of cymbal in the first half of the song, but other instruments join around the half way mark to augment the arrangement. This is classy stuff. 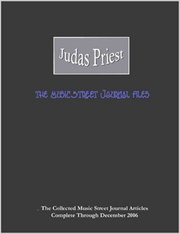 Acoustic guitar and piano are the main elements accompanying the voice at the start of this. The tune has a nice jazzy element to it. This is pretty and works very well. I love the acoustic guitar soloing, but the whole tone of the song is great, too. Starting with a count-in, this has a more full arrangement right at the start. This feels like a folk rock take on the piece. I like this one, but not as much as I did the first two cuts. That might have something to do with the fact that I'm a big Prince fan, and I can't remove myself from the feelings I have for the original. Still, this is an interesting change and a strong tune. I don't think I've ever heard the original version of this song. I like this one. It has a nice acoustic guitar based alternative rock feeling. It's pretty and melodic. There is a bit of a soaring element to it. There is a bit of a Motown vibe to this. The cut feels like something from the 1960s or 1970s. It's bouncy and fun. I don't think I've heard the original of this one, either. Coming in with just piano and vocals, this really does make me think of Leon Russell. The arrangement gets a bit more involved as it continues. A fairly stripped back and slower number, this is quite pretty. It's also a particularly effective piece. There is almost a soaring kind of dream pop feeling to this. Yet, it seems firmly tied to old school folk music and gospel. A song Gene Wilder did in the Willy Wonka movie, I like this kind of jazzy rendition a lot. It has hints of that dream pop I mentioned on the last tune. The arrangement here is so cool. Here's one that excels beyond the original as far as I'm concerned. Originally done by Jefferson Airplane, they do this with a cool rocking groove. This feels a lot different than the original version, but it's so strong. This is one of the highlights of the set. There are parts of this that make me think of The Doors. I dig the acoustic rocking vibe of this number. It's classic and classy stuff. There is a bit of a country element to it. Intricate picked guitar is a big part of this number. There is a country element built into this. It's a mellower balladic kind of piece. Some of the layers over the top of this bring a bit of that dreamy alternative element. I like this a lot. There is a roots rocking element to this. It's more of a pure rocker than most of the rest here. I don't think I've ever heard the original, but this is solid stuff. I like this acoustic rocker a lot. It's quite compelling. I almost forgot this was a Bowie tune. It's a strong number here, but doesn't feel like the original to me. I definitely prefer the Bowie version, but this is a great rendition and a nice tribute.